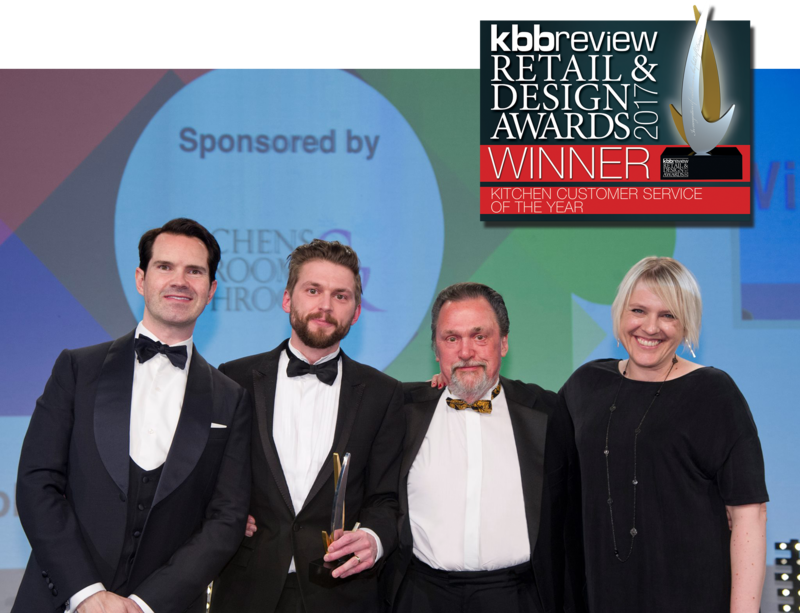 In 2017, we were nominated for this prestigious award and won after a mystery shopper visited our showroom in the New Forest. Everyone at John Willies was exceptionally proud! This picture shows Sam Crocker (Company Director) and his father and founder of John Willies Ray Crocker accepting the award from host, Jimmy Carr and Ruth Bell Editor for award sponsor Kitchens Bedrooms & Bathrooms magazine at the prestigious black tie event at the Hilton Birmingham Metropole.